I am sharing the Question and Answer sites list on this page to improve referral and organic traffic of the website, alternatively Q & A sites are a good medium for one way link building. The basic motto of these sites is very simple “Ask Questions Get Answers”(with links). These are also a good medium of increasing brand awareness. In question answer sites, the user asks the questions and the other users gave answers to the questions. In reply you might get up votes, likes, shares and tons of traffic if the answer is best in the category. The questions ask in these sites are often informational contains long tail keywords, these questions often see in the SERP. In these questions answers sites always try to build natural links by posting relevant answers in relevant niche. Never submit links to irrelevant category, your account may be banned. Don’t put the links of your website, sometimes a normal text answer without any links on these question and answer sites will make your profile strong and your followers list will also increase. if you can not answer the question, just leave it, don’t try to give an irrelevant answer. A strong profile on Question Answer sites with decent no. of followers will improve your brand and referral traffic. Most of the sites give no follow link so no link juice pass, however, the search engine decides the weight-age on link popularity and content. weight-age in organic search. I prefer Quora due to his multi related category and simple interface. 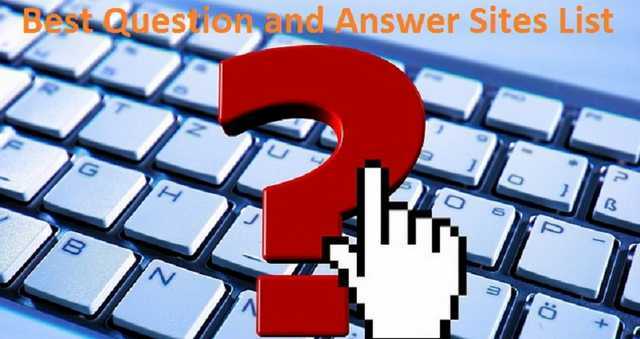 Many known experts from various fields are also registered on these question answers websites and they are happy to answer the questions proactively. Sometimes I also ask questions on these Question Answers sites along with answering the questions.